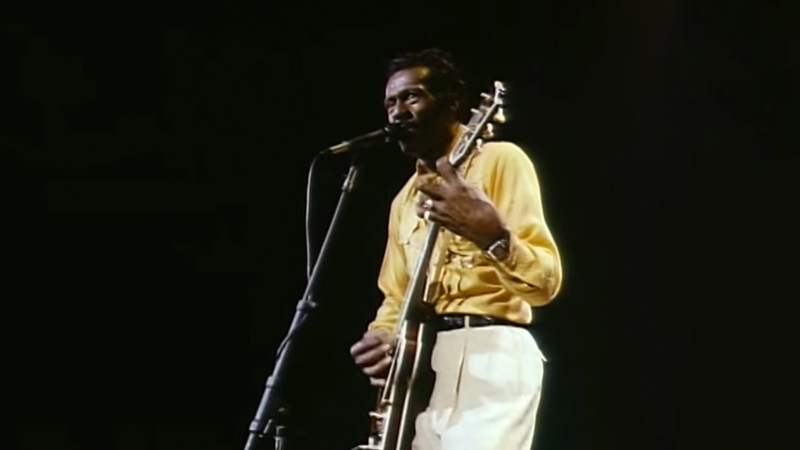 There is no denying the groundwork that Chuck Berry laid for the formation of modern-day rock'n'roll. His contributions made him an icon in every way, shape, and form, earning him pioneering rights for the genre (especially that of rhythm and blues). His onstage antics? Equally legendary, as evidenced by his wide-legged guitar stance and signature duck walk during his live performances (if you don't know what I'm referencing, please divert your attention here). With groundbreaking songs like "Sweet Little Sixteen" and "Maybellene", Chuck Berry was truly a master of his craft. Check out some of our favorite live moments from his half-a-century-long career below.